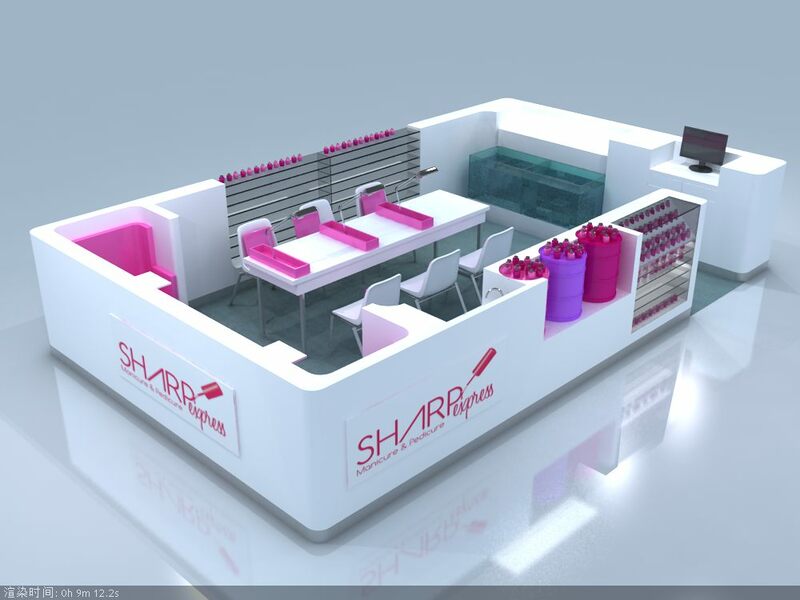 Today share a newly designed Manicure and pedicure nail kiosk in mall with luxury design . This is a 6*3 meter nail kiosk in mall for manicure and pedicure business. It contains 3 manicure seats and two pedicure seats. On the wall a long glass display showcase for nail polish display. where you can display nail polish products and other small items. The main color of the nail kiosk in mall is white. White color give people a clean and nice feeling. But white color also has a disadvantage that is not easy to keep clean. Now most of the white nail kiosk surface is finished with baking paint. When times over one or two years later. The white paint will be oxidized and turns into a little yellow color . So , In order to prolong the life of white nail bar kiosk . The important thing is maintain it every day. in next articles i will write detailed maintain method for white wooden painted kiosk . Let’s get back to the design of the nail bar kiosk design. This is a fully customized nail kiosk for sale. 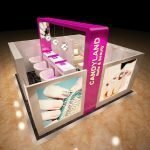 Unique Kiosk only customize mall used nail kiosk with luxury kiosk design and provide amazing kiosk ideas. 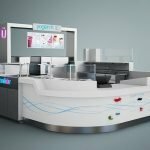 nail kiosk design are quite Similar with eyebrow kiosk. If you are looking for eyebrow threading kiosk . 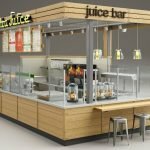 this kiosk design will also give u a nice inspiration. Materials used on this nail bar kiosk in mall. 1. Material: MDF (18 / 25 mm) Solid wood, plywood. 2. Glass: international standard safe and heatproof tempered glass. 3. Coating: environmental PU paint,2 PAC paint,3 coat 20-30 painting work. 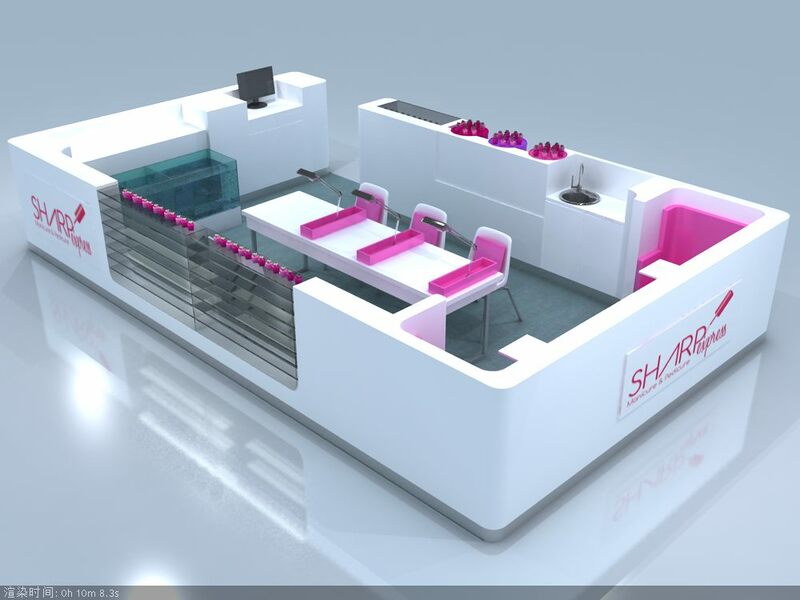 Professional team for the 3D renderings of manicure pedicure kiosk. Skilled and rigorous workers to serve with high quality. Factory company, more competitive and lower price. OEM/ODM Service can satisfy your specific requirements. We are direct nail kiosk manufacturer , The delivery time can be guaranteed. 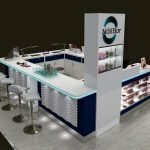 Thanks for browse our nail kiosk design .If you like this nail bar kiosk in mall kiosk design , Please share to your social network. 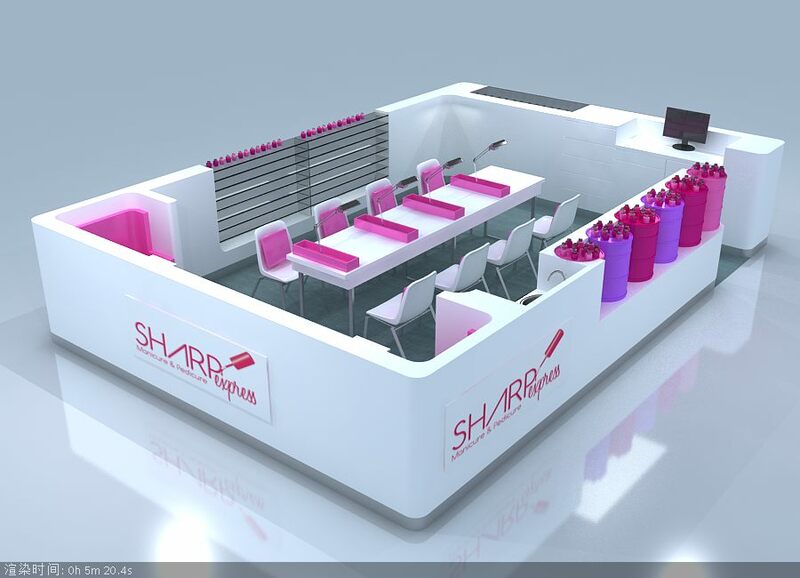 If you need a customized nail kiosk design , Please do not hesitate to contact us.